Beard Oil is used to moisturize your beard and eliminate dry, itchy scruff. In fact, beard oil will also hydrate your skin, giving you a healthy glow, preventing breakage and accelerating beard growth. What’s not to love? Afterall, skincare is just as important for men as it is for women, and the natural ingredients found in most beard oils, like grapeseed or argan oil, will condition both your skin and beard, keeping your facial hairs soft and tame. You want your beard and your face to be kissable, not dry and rough to the touch. Before we dive in, do you need some in-person expert advice? Come on in or book an appointment online! 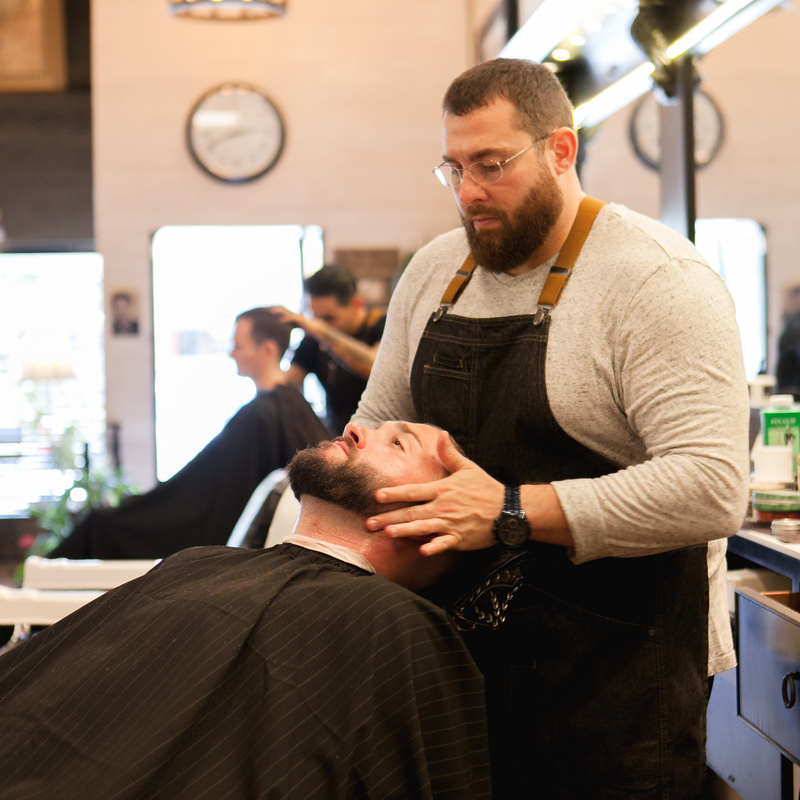 Beard care is a luxury experience at Mister Brown’s. 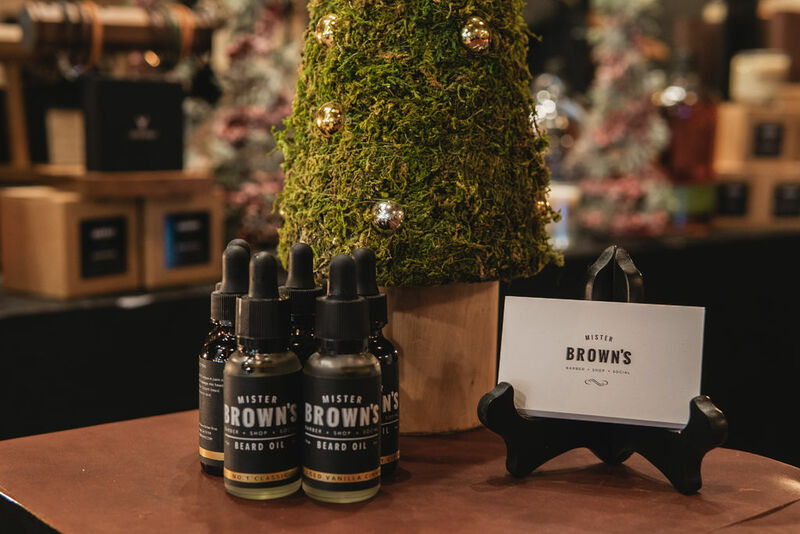 Beard trims are one of the most requested services here at Mister Brown’s, so we sat down with owner Lee Brown to chat about beard care, how and when to use beard oil. After a shower is the best time to use beard oil. As a result, your pores are open and can more readily absorb the good stuff. Post-shower, or bath, towel dry your beard. Next take a few drops of Mister Brown’s Beard Oil in your palms. Yes, just a few drops are plenty! Then rub the oil in between your fingertips and reach through your beard to the base of your skin. Massage throughout your chin area to get good coverage and then pull your fingers through your beard. To finish, groom and style as usual. 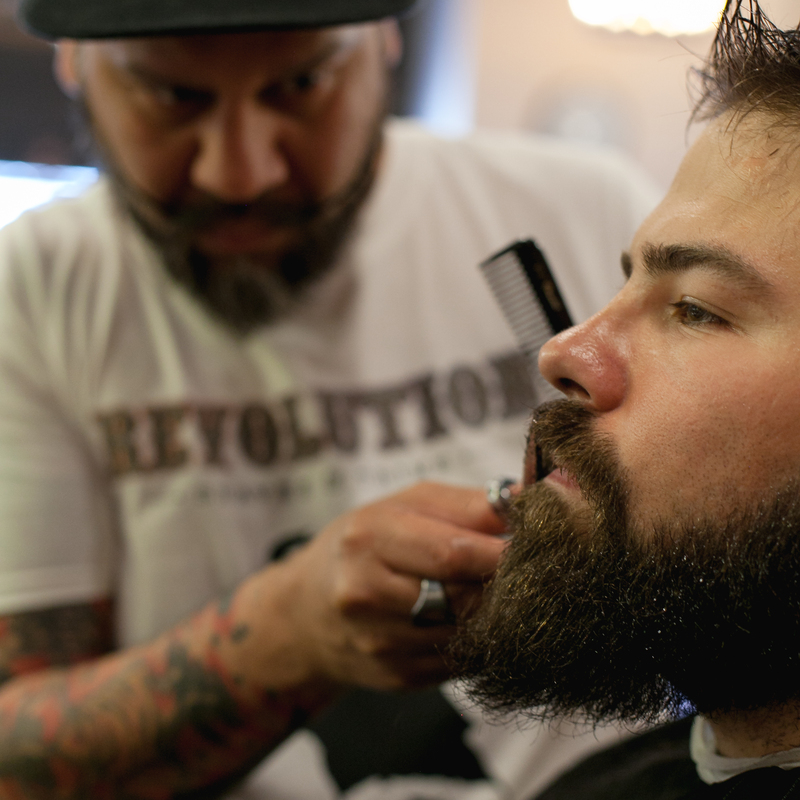 We’re happy to keep your beard trim and teach you how to maintain that look in between visits. Made in small batches, our beard oils keep your scruff looking healthier and fuller. 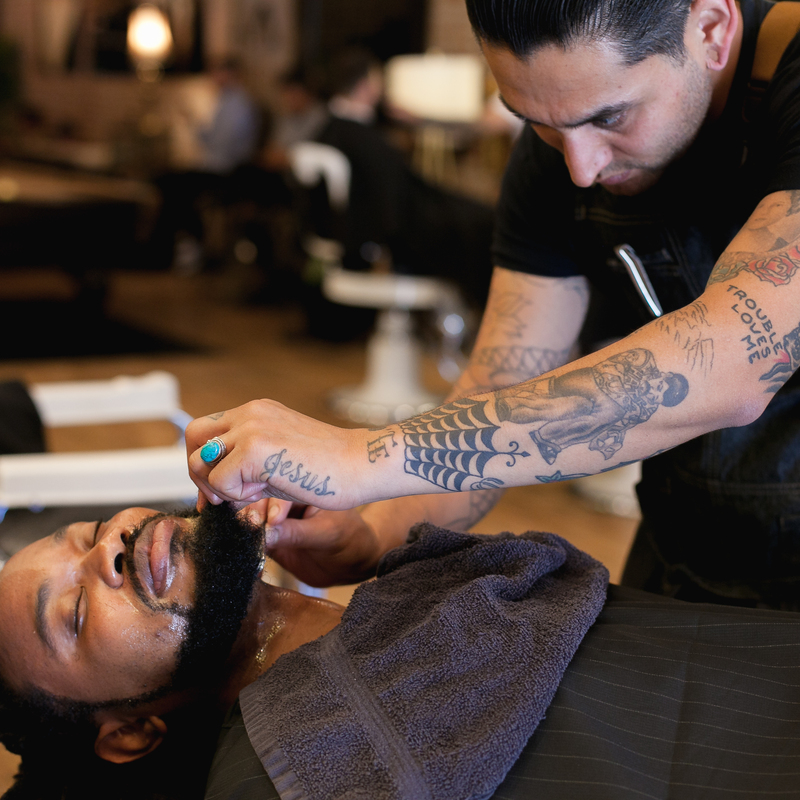 So, whether a hot shave or a beard trim, let our team of experienced barbers at Mister Brown’s treat you to a luxury experience. Stop by next time you’re in North Park, shop online or follow our journey on Instagram or Facebook.